EcoSweep is a full solution environmentally-friendly service provider for all of your cleaning and janitorial needs. 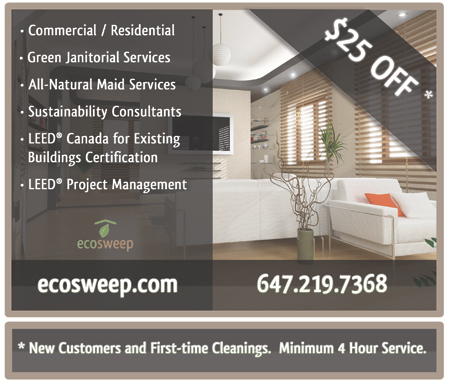 EcoSweep provides a full range of services to commercial and residential clientele and offers customized solutions to meet your unique needs. EcoSweep uses a sustainable business practice model to ensure that whether at home or at work you can trust that your health and quality of life are our priority. To learn more about EcoSweep and the services we offer please browse our site for more information.